Hiring a camper-van and driving across the country is one of the most affordable and most enjoyable ways to go on holiday. When you pick a great campervan, you can save money on hotels, food preparation, travel, and several other small things. The fees you get charged at all these various stops can be prohibitively expensive once you add them all up. However, when you choose to drive yourself on holiday, you can eliminate a lot of costs. Motor-homes have kitchenettes that have microwaves, stoves, and ovens. Also, they have refrigerators. With all of that, you can prepare food yourself and save money on restaurants. Also, you can shower and sleep in your motorhome, which eliminates the need to pay for a hotel. You obviously will be travelling in your motorhome, so you don’t need to pay for plane tickets. In fact, a good campervan eliminates the need for just about anything else. However, you still need to budget for your holiday. If you fail to budget properly, you can end up with a holiday that costs more than you expected, or you could even end up going into debt. Here is how to make a budget. 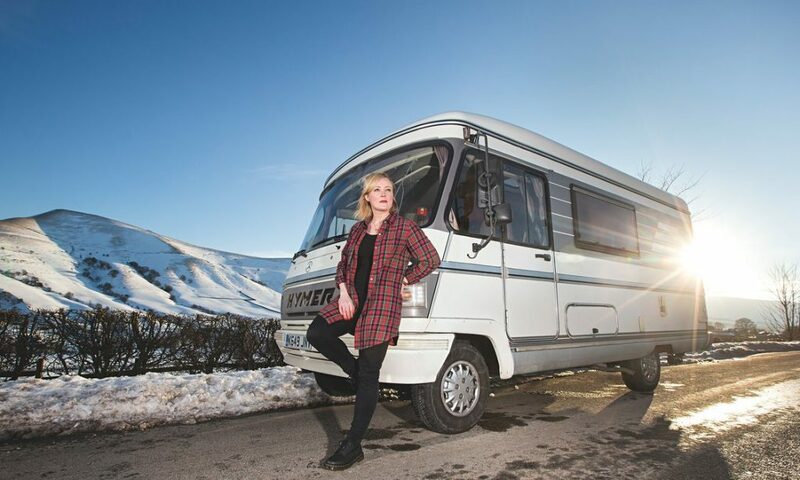 The first thing you need to budget for is the campervan itself. Campervan rentals vary in price depending on how large and how well stocked you want your vehicle to be. If you’re travelling alone or with one of your mates from college, you might not need very much space. However, if you’re travelling with your spouse and several children, you’re going to need a lot more space. If you plan to cook full meals, you’ll need a well-stocked kitchen area. If you just want to reheat canned food, then you could have just a microwave. Choose the RV that best suits your needs without paying for a lot of stuff you don’t need. The campervan will be the first line on your budget. Then you will need to budget for food. Budgeting for food is pretty difficult. You should keep track of how much food you eat during a normal week at your house. Then you should add about 50% to that, because you will probably be eating at restaurants more than normal. Restaurants are obviously going to cost a little bit more than a grocery store. That will be your food budget. Campervan maintenance is hard to budget for as well, because you are trying to predict if something unexpected will happen. You should budget for petrol as part of maintenance, but that is actually a lot easier to budget for. You simply need to look at the fuel efficiency ratings for whichever campervan you have chosen. Then, look at the map of your holiday plans. Divide the length of your holiday travels by the efficiency of the vehicle, and you have the number of litres of petrol you’ll need to buy. Then, you should look up petrol stations along the route. That will give you a decent estimate of how much you’ll spend on fuel. As far as other maintenance, you’ll be doing some guessing, but you should budget for at least one new tyre, new brake pads, and two hoses.